We specialize in offering relevant and effective office solutions that help you control your operational costs. 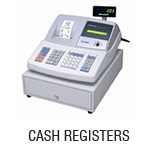 At our store, you will find huge array of new and refurbished office machines – including paper shredders, fax machines, printers, and cash handling equipment. Are you in need of quality office supplies that don’t cost a small fortune? Check out our collection of file folders, toners, printing papers, label supplies and other stationary. 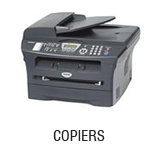 Do you have preference for specific brand such as Canon, Royal, Fellows or GBC? You can find them too here. If you are a corporate house, educational institute or government organization, we will design special packages for you. You never have to worry about quality when you shop at AmericanRefurb.com. All our products are of top-notch quality, designed to deliver 100% results. We aim for complete satisfaction and promise to deliver the best bang for your buck. Please browse through our wide and deep product catalog to find the product of your choice. If you have any questions, don’t hesitate to contact us. We are here to serve you.